A couple of dog walkers have stumbled across the remains of a mysterious sea creature on a beach in Wales. 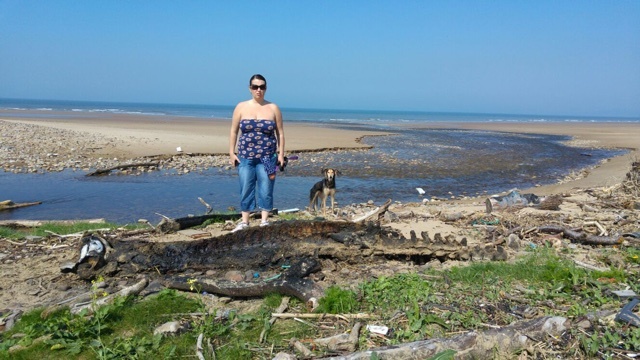 Melanie Edwards Rees and Mike Rees made the strange finding on Morfa Beach in Port Talbot. Speaking in The Sun, Melanie said: "I couldn't believe how big it was. At first I thought it was a piece of driftwood or a big log as it was so far off the beach. "But when we got closer, I could see thousands of flies and I knew it had been an animal." Melanie uploaded pictures to Facebook in a bid to identify the species of the creature, and said some of the reactions have been "hilarious". Speaking to the BBC, she laughed: "People on Facebook have been hilarious. One has even said it could be a dinosaur, but I'm not so sure." In fact, one local resident called David Thomas says he actually came across the carcass four months ago - and he believes it's a long-finned pilot whale. Talking to the South Wales Evening Post, he said: "I found the remains of what we believe is a long-finned pilot whale in January and I immediately reported it to Neath Port Talbot Council. 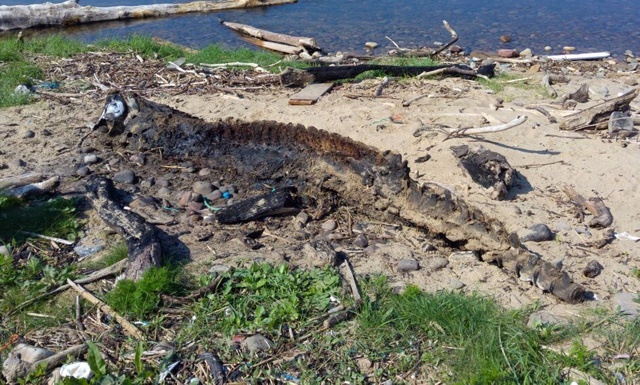 "When I saw the story, I couldn't believe it was the same carcass but I went down to the beach over the weekend and it was. It even looks like someone has been setting fire to it, but it hasn't moved at all." The Sea Watch Foundation says that a number of whale species can be spotted in Wales. It writes: "Although the waters along the Welsh coastline are not particularly species rich with around 30% (nine out of 28 species) of the UK cetacean fauna recorded in the region since 1980, eight of those species are either present throughout the year or recorded annually as seasonal visitors." Killer whales, fin whales, and minke whales have all been sighted. Of the long-finned pilot whale sightings it said: "Fairly common. Mainly offshore in the middle of the Irish Sea (southwards to the Celtic Deep). Occurs all months of the year, but most sightings and greatest numbers are between August and December."